Design at Home makes the consultation process quicker and easier for employee and client. Access real-time client preferences, touch screen, and drag and drop technology to create a personalized project for clients while significantly improving their experience. Use client preferences to gain insight into their project. Suggest items to elevate the project and empower client choices. This functionality drives higher sales and increases client satisfaction. 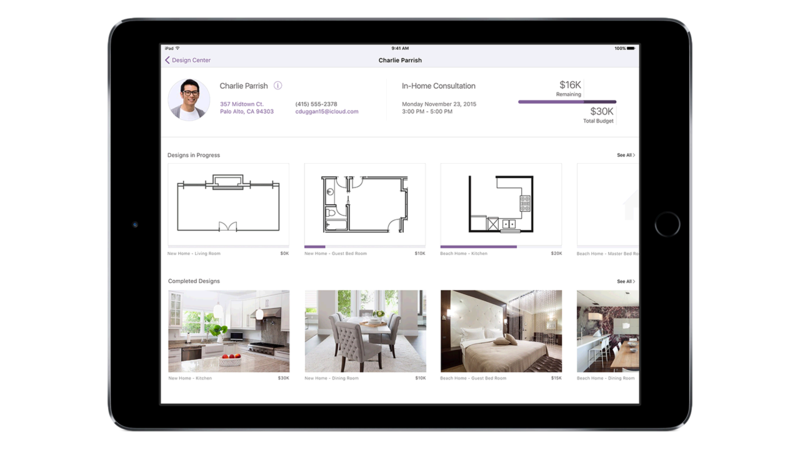 The app eliminates manual information collection and allows you to capture data and present it to the client on the same visit to speed the project to completion.